Photograph of the new station can be seen on Gallery 3. September 11th 2002 A tree planting to honour those who died in the New York atrocity of September 11th 2001, was carried out at the Brigades new station at Marsh Road at the exact time and anniversary of the tragedy. A twenty foot Oak tree was planted on the site as a living memorial to those that died and as a symbol to show that the Emergency Services live on in the United States, here and throughout the world and that the services will continue to answer the call and put their lives at risk in the service of their communities. The tree planting was carried out on behalf of the Brigade by Mr. Gerard Malone CFO Cork County Fire Service. Representatives of all the emergency services were present including Garda, Civil Defence and the Southern Health Board Ambulance Service as well as a representative from each of the West Cork Brigades. UPDATE On 03/09/2005 a black granite plaque with the outline of the Manhattan skyline including the twin towers at the top, was unveiled beside the Memorial Tree. The Memorial Plaque reads: This oak tree is a living memorial to our colleagues in the Emergency Services of the United States of America who died in the performance of their duty in the World Trade Centre atrocity of Sept. 11th 2001 and all the deceased members of the Emergency Services of West Cork.It is also a symbol of the ongoing commitment of Emergency Services worldwide to the safety of their communities in the face of personal danger.Planted by Mr. Gerard Malone,Cheif Fire Officer of Cork County on behalf of Skibbereen Fire Brigade and all the Emergency Services of West Cork. It was unveiled on the day of our now annual Emergency Services Charity Cycle event. Over 100 cyclists took part in the cycle which was over 55 miles from Skibbereen to Bantry, on to Schull and back to Skibbereen Fire Station.Refreshments were provided at Bantry and Schull Stations and a barbeque awaited the tired participants on their return to Skibbereen Fire Station. It is expected that the event will raise about 25,000 Euro which this year will go towards diagnostic equipment at Bantry General Hospital. 15/07/2006 The third annual Emergency Services 50 mile cycle for Charity was held today in brilliant weather conditions. The Cycle this year was dedicated to the memory of our much missed friend and colleague the late John O' Mahony EMT. Over two hundred cyclists too part in this years event which is to benefit the Cope Foundation and the Alzeimers unit of Clonakilty Hospital. At present it looks as though the figure raised will be between forty and fifty thousand euro. The author is proud to say that one of the crew of Skibbereen Fire Brigade deserves the greatest praise for the huge amount of work he put in to the event. All the other services contributed to the event greatly but I am sure that nobody would dispute the fact that our Garry Minihane was the leading light in the entire event from start to finish.A great day was had by all culminating in a barbeque at Skibbereen Fire Station at which about four hundred attended. The evening finished in Baby Hannahs Bar in Bridge street at which we were wonderfully entertained by Tony Boadle, Chris Sayer and Ron Carty who gave their services free of charge to the event organisers. 19/10/2006 It is now confirmed that over €58,000 was raised in the cycle this year and this has been donated to the Cope Foundation and to Clonakilty Hospital in equal shares. There was also a very pleasant ceremony at Clonakilty Hospital in September when a garden of rememberance was opened by Eleanor O'Mahony, John's widow. This was preceded by a memorial mass held in the hospital church. All of the Emergency Services were represented there and the Aide de Camp of the President of Ireland was also in attendance.The overcrowded church and attendance at the opening ceremony was yet again another indication of how many peoples lives John had touched in his inimitable way and also the happiness he had brought into peoples lives was there on the faces of these people as they reminiced on times together with him. May he rest in peace in Gods company forever. 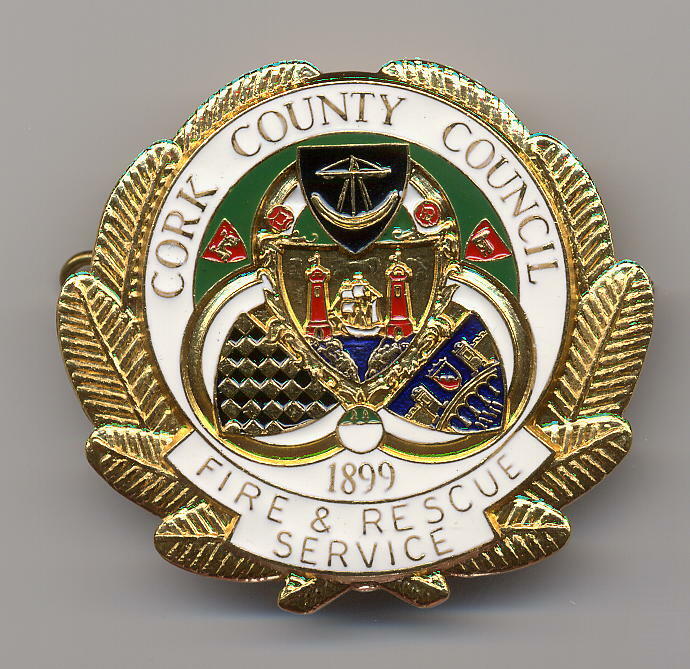 Please note that this is not an official Cork County Council site and consequently may not reflect the views of Cork County Council.